A brilliant silhouette design illustrating a horse rider! 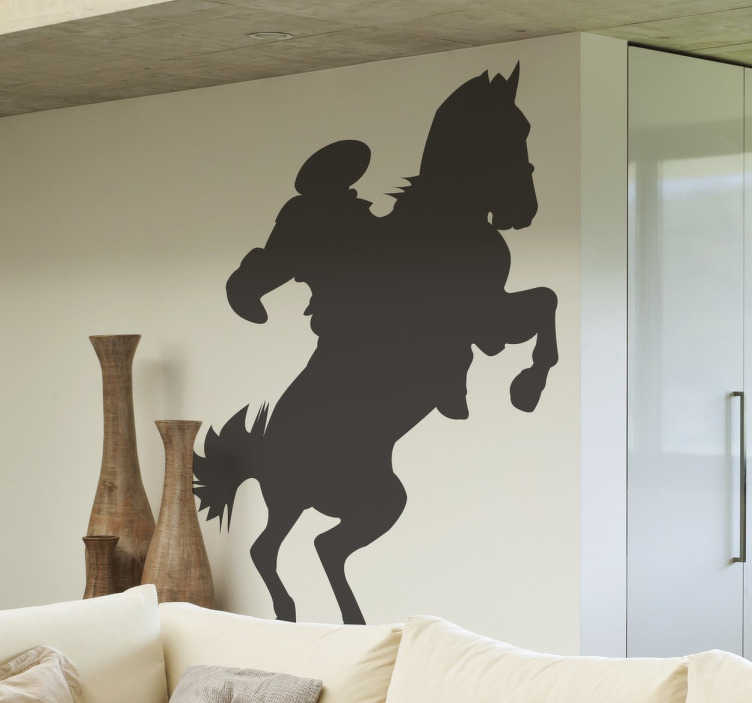 If you love horses or horse riding then this horse wall art decal is for you! Are your walls empty? Need some wall decoration to get rid of that dull and boring atmosphere? If yes, this monochrome horse decal is perfect for you! Decorate your walls with this fantastic design and create a cheerful and pleasant atmosphere. This horse rider design must be applied on a smooth surface. It is available in various colours and sizes. Super easy to apply and remove.